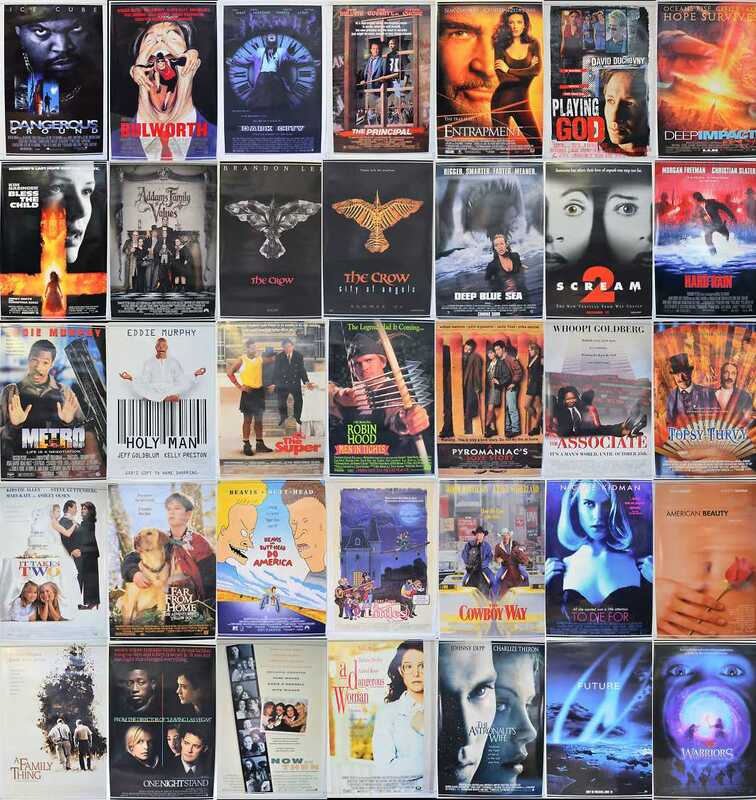 This week I’m having a break from Quads and auctioning over 50 Original USA One Sheet Movie Posters, Mostly from the 1990’s. Titles include Brandon Lee in “THE CROW” and Vincent Perez in the sequel “THE CROW - CITY OF ANGELS”, Kiefer Sutherland stars in Alex Proyas “DARK CITY”, and Christian Slater stars alongside Morgan Freeman in “HARD RAIN”. Comedy fans might enjoy Mel Brooks’ “ROBIN HOOD - MEN IN TIGHTS” from 1993 or perhaps Warren Beatty’s “BULWORTH”. For Thriller collectors I have Gus Van Sant’s “TO DIE FOR”, David Duchovny and Angelina Jolie star in “PLAYING GOD” and Johnny Depp takes the lead alongside Charlize Theron in “THE ASTRONAUT'S WIFE”. Titles from the Horror Genre include “SCREAM 2”, “LEPRECHAUN”, “DEEP BLUE SEA” and “BLESS THE CHILD” starring Kim Basinger and Christina Ricci. Plus many more all listed below for you convenience. THE PRINCIPAL (1987) One Sheet Movie Poster - James Belushi, Louis Gossett Jr.